MacKAY, ALEXANDER HOWARD, educator and scientist; b. 19 May 1848 in Plainfield, N.S., son of John MacKay and Barbara MacLean; m. 26 Oct. 1882 Maude Augusta Johnston, daughter of Dr George Moir Johnston*, in Pictou, N.S., and they had one son and one daughter; d. 19 May 1929 in Dartmouth and was buried in Scotsburn, N.S. Alexander Howard MacKay grew up in rural Pictou County, attended local public schools, and graduated from the Pictou Academy in 1865. After a few months of teaching, he attended the Normal School in Truro. In 1869 – having presumably resumed his teaching career in the interim – he began work towards a ba at Dalhousie University in Halifax. The following year he became the editor of the Dalhousie Gazette, a position he held until his graduation in 1873 with honours in mathematics and physics. In 1880 he would receive a bsc from the University of Halifax with honours in biology. In May 1873 MacKay was appointed principal of the Annapolis Academy, but in November he returned to the Pictou Academy to begin a 16-year career as principal. There he strengthened the science program, organized the Pictou Academy Scientific Association, and pursued his own botanical and zoological research. In 1889 he became principal of the Halifax Academy (he was replaced in Pictou by Robert Maclellan). He was also active in professional bodies such as the Provincial Educational Association of Nova Scotia, founded the Summer School of Science for teachers in 1887, and served from 1887 to 1891 as Nova Scotia editor of the Educational Review (Saint John) [see George Upham Hay*]. 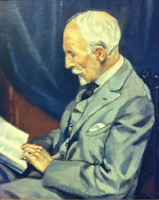 In 1891 MacKay began a 35-year term as superintendent of education for Nova Scotia. Throughout it, he constantly urged the provincial Council of Public Instruction and local school trustees to reform the curriculum and to hire trained teachers. Despite years of crusading, he met with little success in improving the educational attainments of the teachers. In 1905 he claimed that part of the problem was the Nova Scotian “idolatry of the principle of self-government,” which gave school trustees too much power in hiring, but more generally he emphasized that, as he said in 1912, “the great need is simply a larger wage.” When he retired in 1926, to be succeeded by Henry Fraser Munro*, fewer than ten per cent of teachers in the province had completed high school and one year of Normal School. MacKay met with greater success in his campaign for reshaping the curriculum. In sharp contrast to his predecessor, David Allison, he favoured improved science programs and manual training over a classical curriculum. He used special conditional grants to encourage the teaching of manual arts, temperance, hygiene, domestic science, and agricultural chemistry and also to promote consolidation of rural schools. Whenever possible, he took advantage of national programs to support his reforms, tapping into the Strathcona Trust for physical education and funding provided by the federal government for agricultural instruction and technical education. Concerned about rural depopulation, MacKay developed rural-science programs that he believed would address the problem by encouraging children’s scientific interest in nature. In addition to providing training and classroom materials for teachers, he instituted an unusual program of phenological observation for rural schoolchildren. This scheme required students to note the first appearance of botanical phenomena during the year and to provide the information to the teacher, who in turn submitted it along with the school’s attendance register at the end of each year. The Nova Scotia Museum of Natural History holds MacKay’s collection of these phenological reports from 1898 to 1923, and in the 1990s the observations were of considerable interest to scientists concerned with climatic change in Canada. MacKay repeatedly emphasized his belief that it was the role of public schools to train industrial workers, and enthusiastically joined allies in the Nova Scotian Institute of Science and the Mining Society of Nova Scotia in the campaign for technical education that resulted in the provincial Technical Education Act of 1907. MacKay, as superintendent of education, became responsible for the Department of Technical Education, which included the Nova Scotia Technical College (a post-secondary institution for the training of professional engineers), the system of night schools for miners in existence since 1889 [see Edwin Gilpin*], and evening technical programs around the province. Throughout his life MacKay continued his scientific studies, and his work on the flora and fauna of his own province, especially lichens, diatoms (plankton), where he collaborated with Loring Woart Bailey, and freshwater sponges, earned him respect from other Canadian scientists. By 1876 he had already developed a herbarium of native plants, which was consulted by Andrew Walker Herdman Lindsay for his catalogue of Nova Scotia flora. His first major scientific article was published in 1881; by 1894 the Royal Society of Canada, to which he had been elected in 1888, listed more than 30 scientific and educational works by him in its bibliography. From about 1908 until his death he edited the Proceedings and Transactions of the Nova Scotian Institute of Science, of which he was president in 1899–1902. He also taught biology at Dalhousie for a time. Most of MacKay’s many activities related to his interest in education and science. He was president of the Dominion Educational Association from 1895 to 1898, and he represented Nova Scotia at imperial education conferences in 1907 and 1911. In 1909 he was vice-president of the Simplified Spelling Board of New York and in 1912 he was made an honorary colonel and a member of a dominion cadet committee for his work in promoting military drill in the public schools. 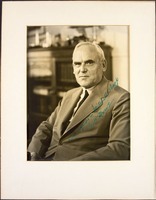 He served on the board of governors of Dalhousie from 1888 to 1927 and he represented the university on the board of the Marine Biological Stations of Canada and its successor, the Biological Board of Canada, from 1898 to 1926. He was awarded an honorary doctorate by Dalhousie in 1892 and by St Francis Xavier College, Antigonish, in 1905. He was a director or board member of a number of educational institutions in Halifax, including the Presbyterian College, the Halifax Ladies’ College, and the Victoria School of Art and Design, which he served as president from 1908 to 1924. Active in the North British Society, of which he was president in 1894, he served as vice-president of the Nova Scotia Historical Society from 1896 to 1902 and as president of the Halifax Canadian Club in 1912–13. Alexander Howard MacKay’s career spanned an important era in Nova Scotian history, one that began with high hopes for a modern industrial future based on the application of science to natural resources and ended in economic depression, large-scale out-migration, and pessimism. MacKay imagined an orderly world in which professionally trained teachers brought scientific education to students across the province, resources were systematically developed, spelling was simplified, weights and measures were based on the decimal system, and the nations of the world worked together for justice and peace. The lasting institutional legacy of MacKay, and those who shared his scientific, economic, and educational vision, was the Nova Scotia Technical College. Later named the Technical University of Nova Scotia, it merged with Dalhousie in 1997 and is now known as DalTech. Alexander Howard MacKay is the author of “Leading to technical education,” Mining Soc. of Nova Scotia, Journal (Halifax), 7 (1902–3): 49–54. Other of his publications may be found in “Bibliography of the members of the Royal Society of Canada,” comp. J. G. Bourinot, RSC, Trans., 1st ser., 12 (1894), proc. : 57, and Science and technology biblio. (Richardson and MacDonald). Halifax County Court of Probate (Halifax), Estate papers, no.12010. NSARM, RG 14, 69, minute-book, 1862–1916. Annals, North British Society, Halifax, Nova Scotia, with portraits and biographical notes, 1768–1903, comp. J. S. Macdonald ([3rd ed. ], Halifax, 1905). K. A. Balcom, “From recruitment to retirement: female teachers in the public schools of late nineteenth century Halifax” (ma thesis, Dalhousie Univ., Halifax, 1993). Janet Guildford, “‘Separate spheres’: the feminization of public school teaching in Nova Scotia, 1838–1880,” Acadiensis, 22 (1992–93), no.1: 44–64; “Technical education in Nova Scotia, 1880–1930” (ma thesis, Dalhousie Univ., 1983). D. C. Harvey, An introduction to the history of Dalhousie University (Halifax, 1938). John McDonald, A catalogue of the A. H. MacKay lichen collection with a short biography of A. H. MacKay (Nova Scotia Museum, Curatorial report no.16, Halifax, 1973). J. M. Norman, Loran Arthur DeWolfe and the reform of education in Nova Scotia, 1891–1959 (Truro, N.S., ). Nova Scotian Institute of Science, Proc. and Trans. (Halifax), 17 (1930): xlvii–liii. N. M. Sheehan, “Alexander H. MacKay: social and educational reformer,” in Profiles of Canadian educators, ed. R. S. Patterson et al. ([Toronto], 1974), 253–70. Donald Soucy and Harold Pearse, The first hundred years: a history of the Nova Scotia College of Art and Design (Fredericton, 1993). Janet Guildford, “MACKAY, ALEXANDER HOWARD,” in Dictionary of Canadian Biography, vol. 15, University of Toronto/Université Laval, 2003–, accessed April 21, 2019, http://www.biographi.ca/en/bio/mackay_alexander_howard_15E.html.